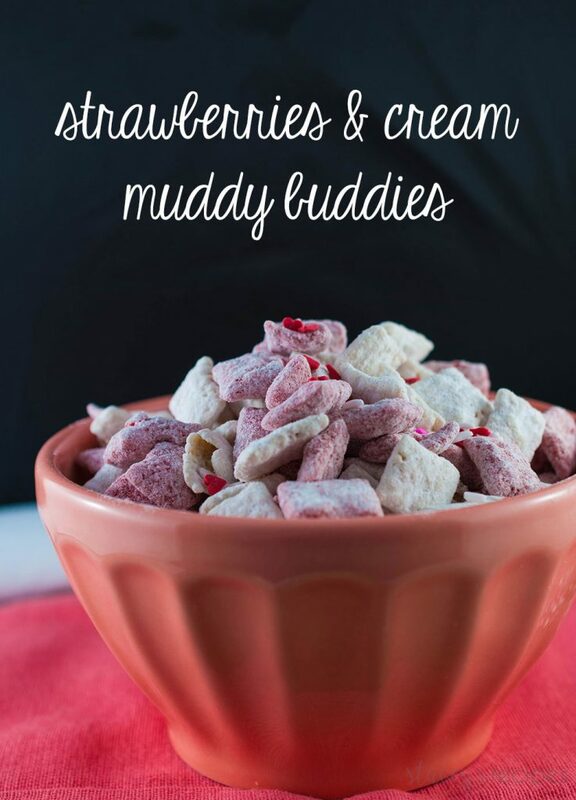 If you haven’t tried muddy buddies before, trust me you won’t be disappointed in how easy and good these are. See all those little heart sprinkles? Sorry Valentines day, maybe next year you’ll get your recipe posted on time. 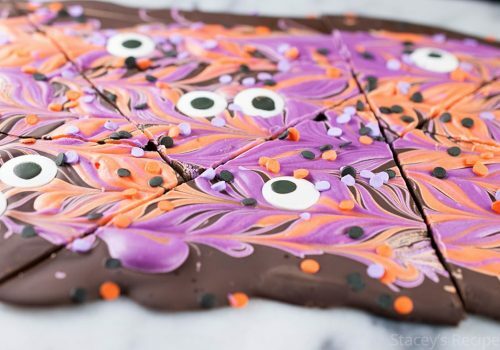 This recipe is easy and comes together in 20 mins – if that. 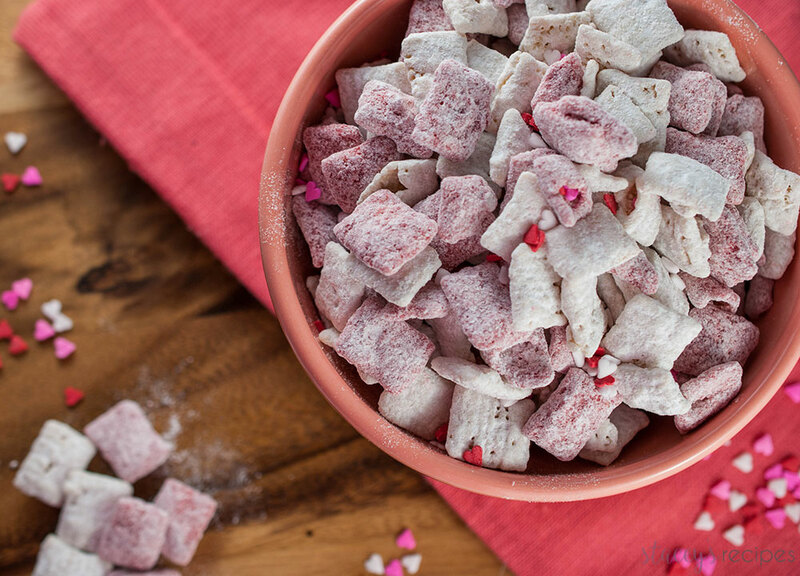 You’ll need 5 ingredients: white chocolate wafers, red candy melts, powdered sugar, strawberry cake mix and chex cereal. I made these the same day we had some friends come over for some games, and they got devoured. Separate your Chex cereal into 2 medium bowls with 2 1/2 cups each. 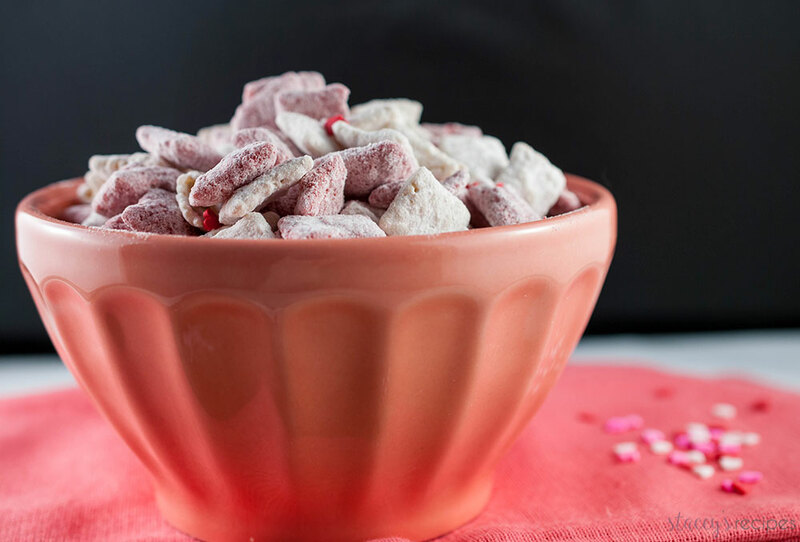 In a small bowl melt the white chocolate in 30 second intervals stirring until melted. 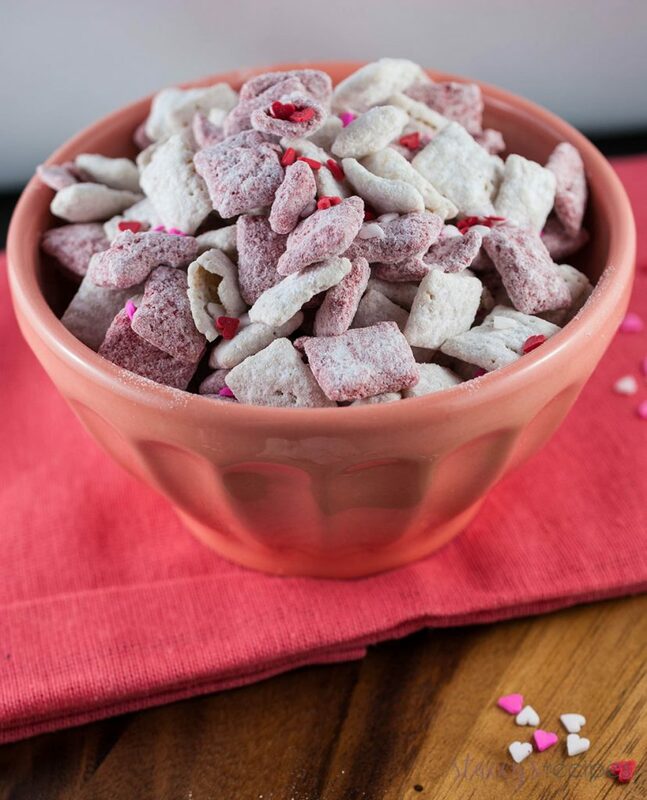 Pour over one bowl of Chex cereal stirring until all the cereal is coated making sure not to break up the cereal too much. Add your powdered sugar until everything is evenly coated - set aside. Melt the red candy melts at 30 second intervals stirring until melted. 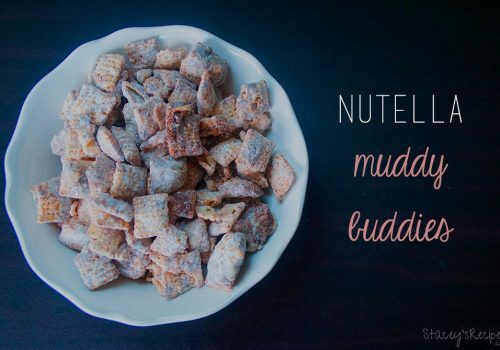 Pour over the second bowl of cereal and stir until the cereal is coated. Add the strawberry cake mix and stir until evenly distributed. 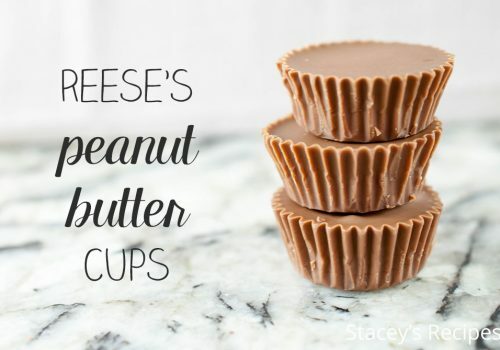 Pour both bowls over a piece of parchment paper or silpat and let set for 30 minutes.